When venturing to the Golden State of California, there is more to see outside of the most popular destinations such as San Francisco or Los Angeles that all the tourists flock to. 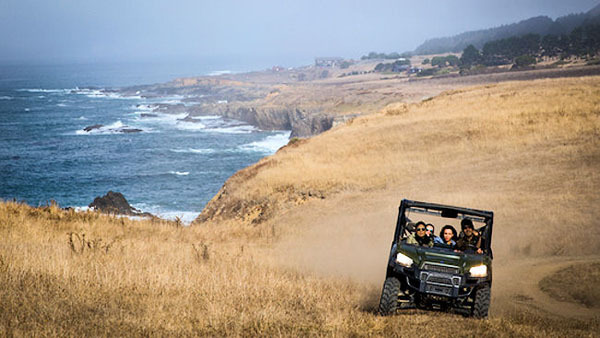 There is a plethora of hidden gems waiting to be discovered that are just as full of excitement and adventure such as Fort Bragg, Silicon Valley, and Santa Barbara. Want to escape from it all? The Inn at Newport Ranch is located in Fort Bragg California and is 3 and 1/2 hours north of San Francisco. If you are looking for something different from a standard hotel and want to experience a quaint inn surrounded by redwood trees with breathtaking ocean views that feels just like you are at your country home, then Newport Inn is a 5-star experience for you. The architecture in the main building is bold, yet intimate and is constructed from the surrounding redwood trees that also double as support columns throughout the property. As soon as you walk into the main Inn space, you are welcomed by a harmonious blend of warm colors and smooth textures, which puts you immediately at ease away from your busy lifestyle. The Inn has three unique luxury suites, along with three other lodging options on the property. For the best oceanfront views, we recommend the Captain’s Suite in the main building. If you are looking for larger accommodations, the Redwood House is just for you. Each suite has a unique look and is equipped with a living room, dining area, kitchen, fireplace, and deck. The Grove Suite and the Newport Suite have hot tubs, while the Birdhouse Suite has a sauna. The staff is impeccable with their service and go out of their way to accommodate and make you feel comfortable. If you are feeling a bit of cabin fever, you can explore the twenty miles of coastal redwood hiking and riding trails, or participate in one of the many activities offered by the Inn. We recommend the ATV Safari. Watch out for golden eagles, foxes, coyotes, and even bobcats on this 1 to 1 ½ hour adventure throughout the 20,000 acres of property. After your day of adventure, you can head back to the Inn for a cozy evening by the fireplace with your book, or stay outside to enjoy the countless stars in the evening sky far away from the city lights. Only an hour away from the Inn at Newport Ranch, indulge in an afternoon of fine wine tasting at the Goldeneye Vineyard. 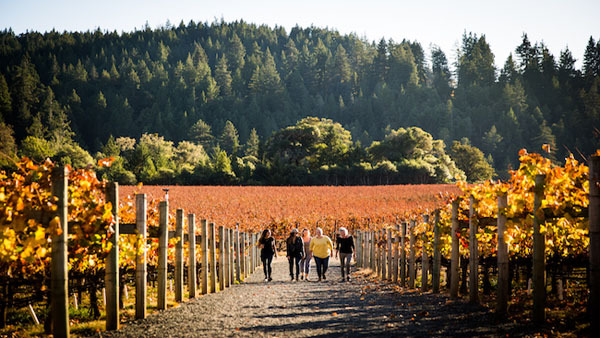 The view of the spectacular surrounding rolling hills and redwood forests will delight, as you sip and smell the aromatic bouquet of the most delicious wines in the region. Enjoy the night out, while savoring the season’s best foods at The Bewildered Pig in Philo. 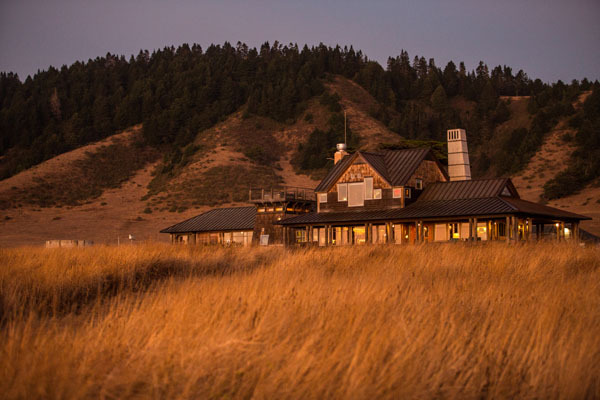 The flavorful dishes like the house-made Country Pork Pate or The Truffle Roasted Cornish Game Hen are inspired by local farmers, fisherman, ranchers and artists who collaborate with the restaurant chefs to bring you a mouthwatering culinary experience in a rustic and unique setting. We would highly recommend eating here. Whether visiting for business or pleasure, the Four Seasons Hotel Silicon Valley is only a short 30-minute drive from the San Francisco International Airport and features spacious and luxuriously appointed rooms with a modern, sleek design. After a day of meetings or touring, unwind with an on-demand glass of wine from the Plum wine dispenser conveniently located in your room, or you can book a massage or schedule a private yoga session at the hotel spa. The welcoming and friendly staff will perfectly cater to all of your needs. Open throughout the day, Quattro is the signature restaurant that serves Italian inspired cuisine along with a world-class selection of wines. Grab a cocktail and dine in a contemporary setting decorated with natural wood and stone echoing the natural beauty of Palo Alto. The Truffle Vinaigrette Risotto is not to be missed. Portuguese for wine cellar, Adega is one of Silicon Valley’s most revered restaurant is Adega, holding the title as the only Michelin starred Portuguese restaurant in the United States. The chef duo of David Costa and his fiancé Jessica Carreira have created a menu of classic Portuguese seafood and meat dishes with a modern twist. Indulge in one of the two 5 to 7-course tasting menus and enjoy a leisurely evening meal created with the finest and freshest local ingredients. Our favorites were the Polva ‘a Lagareiro (oven roasted octopus) on the Classico Tasting Menu and the Peixe de Raizes de Outono (fresh fish of the day with local organic baby vegetables) on the Chef’s Tasting Menu. Don’t miss the Flourless Eucalyptus Smoked Chocolate Cake paired with a dessert wine to top off your meal. 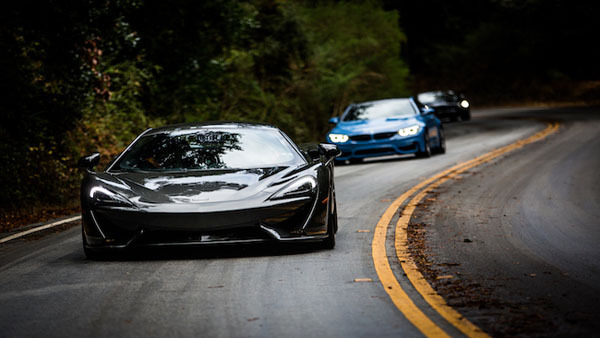 Live like a tech titan and drive in a splashy Bentley or a McLaren P1 from the collection of rare autos at San Jose’s Club Sportiva, while cruising through the winding roads of Silicon Valley. Visit Santana Row lined with luxury shops and fine dining, and be sure to stop at the Apple campus. To get to your next California vacation destination in a luxuriously efficient manner, hop on JetSuiteX and arrive in style and comfort. Travelers depart and arrive at private terminals away from the crowds. You won’t want to fly first class again with the fleet’s comfortable leather seats and ample leg room. 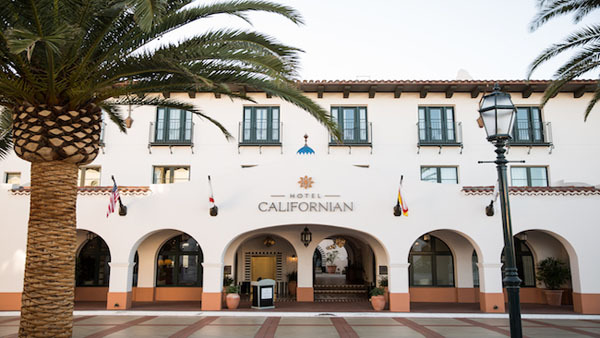 Dubbed “The American Riviera”, the luxurious Hotel Californian with its Spanish Colonial Revival inspired architecture is the newest addition to the Santa Barbara waterfront. The hotel’s three large buildings consist of 121-rooms with modern Moorish themed interior décor by celebrity designer Martyn Lawrence Bullard. Conveniently located next to Santa Barbara’s exciting Funk Zone, hotel amenities include a rooftop pool, spa, and two fine dining restaurants managed by chef Alexander La Motte. 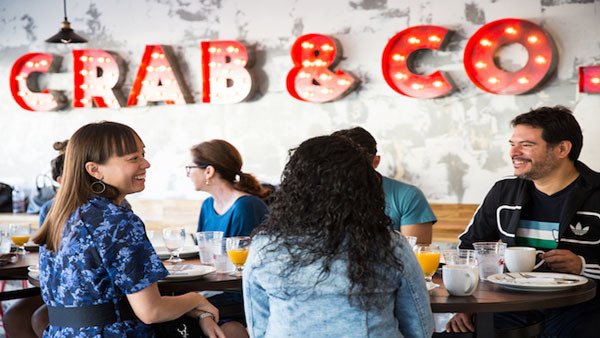 Blackbird is decorated in sleek modern design and offers excellent Mediterranean influenced cuisine that emphasizes locally sourced ingredients. For a more casual experience, you can grab breakfast, lunch, or dinner at the Goat Tree gourmet café or enjoy an alfresco meal to go with their seasonally curated picnic baskets. To indulge in the regional flavors of Santa Barbara, visit Barbareno located in a residential neighborhood on State Street close to the region where the first avocados were grown in the US back in 1871. Another local favorite is Les Marchands wine bar and bistro, located in the Funk Zone, just steps away from the Hotel Californian. Chef Weston Richards whips up high quality, yet simple dishes that are delightful to the palette. The Shakshuka, a baked egg, tomato, and feta dish is a fan favorite. Les Marchand selects its 400 Eurocentric wines from top wineries. We had the pleasure of meeting Clementine Carter, who offered a tasting of her fine wines from her neighboring vineyard, Carter Estate Winery, to go with our meal. An unforgettable adventure awaits within these hidden gems of California just waiting to be discovered.